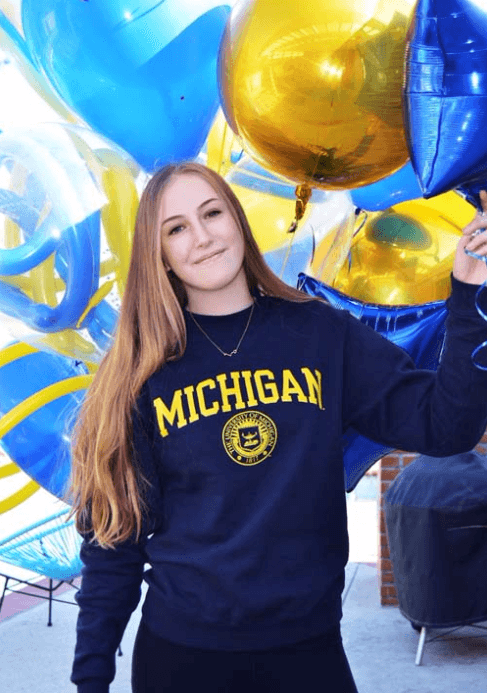 Sophomore middle blocker/outside hitter May Pertofsky has verbally committed to play volleyball at Michigan. In her freshman season with Sierra Canyon High School, Pertofsky put down 298 kills for an average of 3.2 kills per set, adding 30 solo blocks and 51 total on the year. Pertofsky earned All-CIF South Section Division 2A honors after leading Sierra Canyon to the CIF finals and to the Southern California Regional D2 playoffs. She was also named as to the MaxPreps 2015 High School Underclass All-American Girls Team and the MaxPreps 2015 California All-State Volleyball Team. Pertofsky will join the Wolverines for the 2019 season. Pertofsky plays for Sunshine Volleyball Club.